Step 6 - All done! Your contact email address is very important. 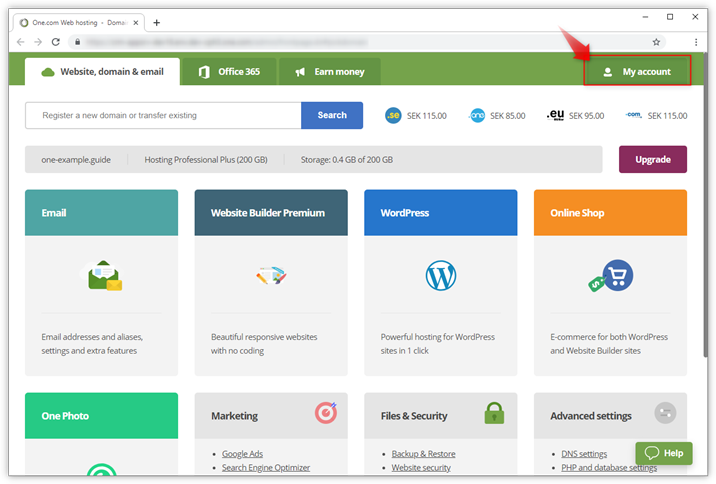 It is the username that you use to log in to the control panel, and also the address where you receive your invoices, password and other notifications. Do you want to change your postal address or phone number? Check out the guide below. 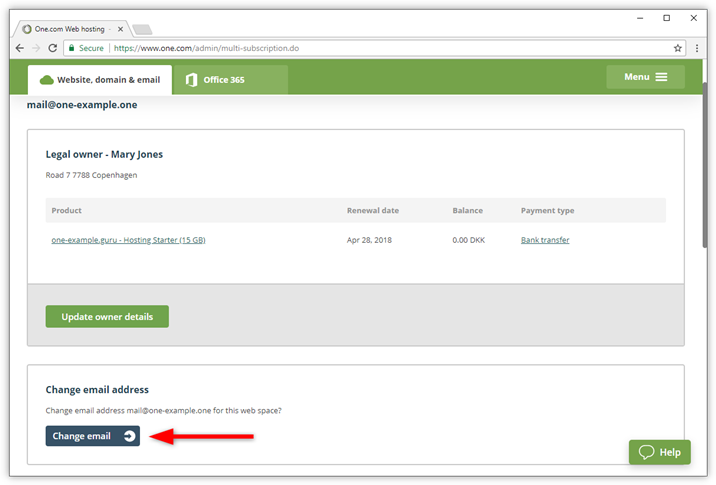 You can see the current contact email address and how many subscriptions are managed under it. The change will be for all subscriptions that are managed under this user, or for a specific legal owner. Scroll down and click Change email. Enter the password you use to log in to the control panel. 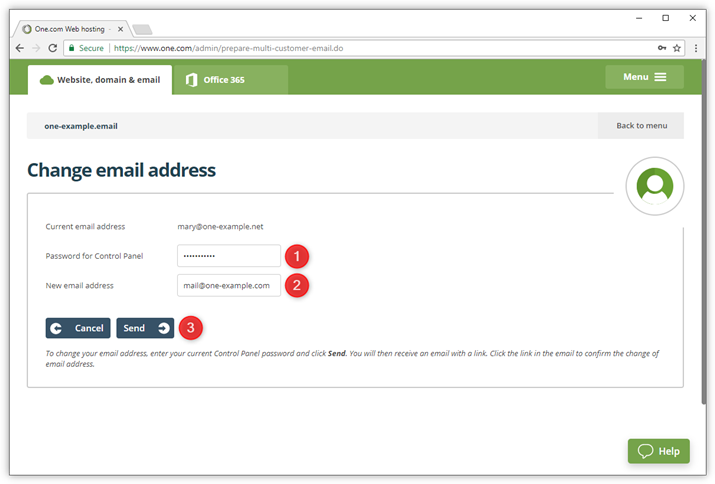 Enter your new contact email address. 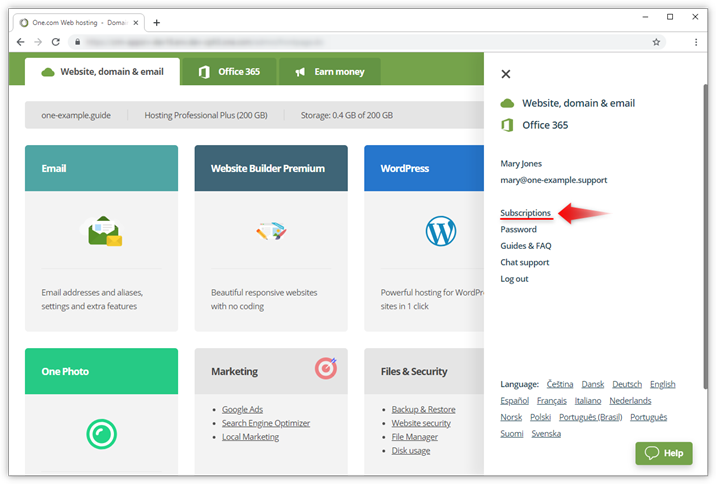 Note: If you manage subscriptions with different owners under the same login, you need to select if you want to change the email address for all web space subscriptions, or only for a specific legal owner. 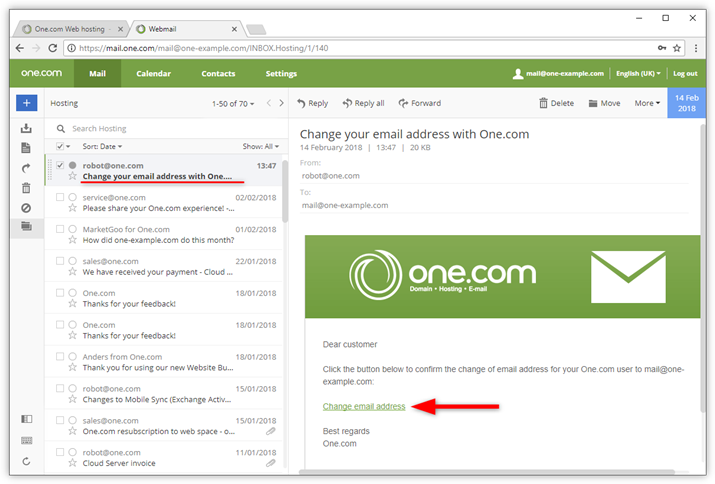 An email has been sent to the new contact email address with a link to confirm the change. Click the link Change email address in the email to confirm. 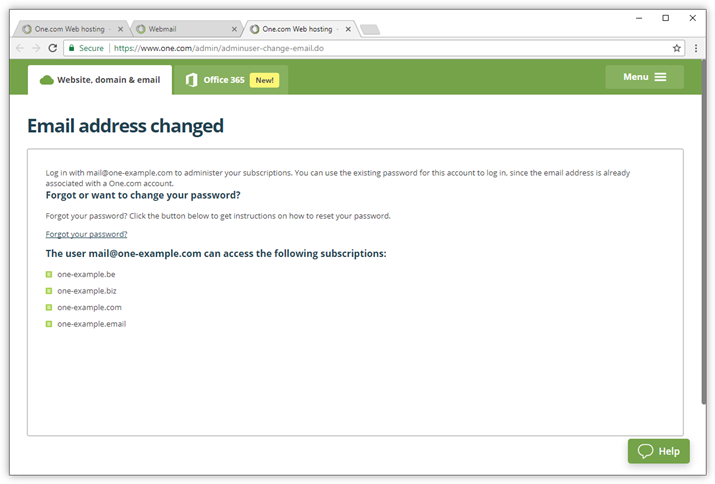 On the next screen you can see a confirmation that the address has been changed and what accounts are being managed under the new contact email address. Here you can also request a new password, in case you want to change the current one.